Neil Roberts is a strength and movement coach, certified mobility specialist and corporate wellness consultant based in Brooklyn, NY. He has spent the last 12 years working as a personal trainer in the New York City area, and studies with leading experts in the field of exercise science. Neil has worked with a wide variety of clients from athletes to senior citizens, from yogis to type A executives. 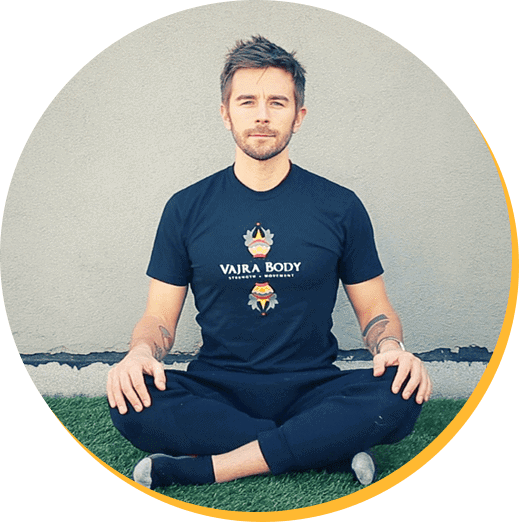 In 2015, he opened Vajra Body Gym private training studio, where he continues to practice a holistic approach to mental and physical strength training. He teaches group fitness, functional mobility, and meditation classes in corporate environments throughout Manhattan.